I just realized I had never posted anything from my flatbook. Well here it is. I'll be graduating in 2 weeks! That also means I will be relentlessly creating new content, so before this version gets scraped I figured I'd share it. I'm pretty happy with the overall design, but crits and comments are always appreciated. Let me know what you like and don't like about it. I can take it. Really. I want then next one to be better so rip it apart! Oh Yeah...the phone number on the bottom of the cover is not mine anymore, so I really don't care if you crank call it. Please tell me you're going to have more than two pages. lol. I take it you'll be adding some of the content from further below? Hmmm, well I like your designs and the new border on the pages are cool too. I'm not so thrilled about the last page though. Not that the design is bad, I think the layout is a little boring. The Toro's page is a bit confusing too. I know I said that I liked the border around the pages, but no one else is going to care. You may want to take it out, but that's completely up to you. Right now, I don't think it's hurting your work. I was told by people in the industry that they want to see your process. Not sure how you would do that in modeling, but there you go. Ok I'm going to stop now. I didn't put it all in one post because Blogger wouldn't let me, but I think 2 pages is almost excessive. I mean it took, like, a half hour to make them both. It's just too hard to do more. Thanks for the crit. I do plan on reworking most of this. 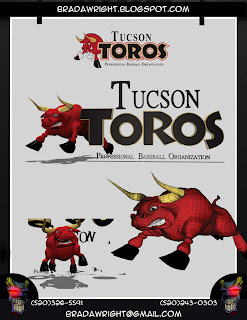 I see what you mean about the Toros page. 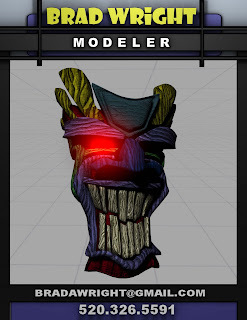 I guess I could add early versions of the models to show process. 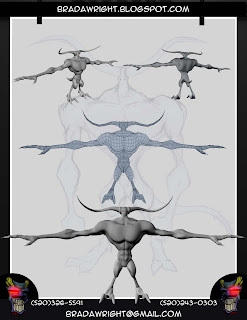 Blocking and mid res versions. I'll consider that for the next version. Thanks Emmett.